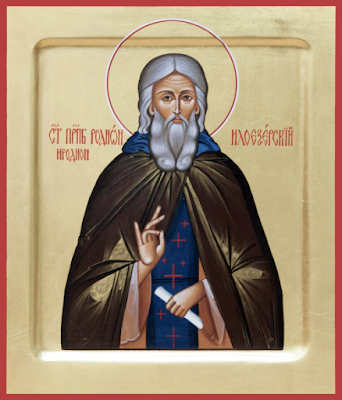 Saint Herodion of Elias Lake (Iloezersk) and Novgorod, was a disciple of Saint Cornelius of Komel (+ May 19, 1537). After the death of his mentor, he settled at Elias Lake, 20 kilometers from White Lake, and there on a peninsula he built himself a cell and established a church in honor of the Nativity of the Most Holy Theotokos, marking the beginning of the Elias Lake Ozadsk Monastery (Iloezersk Monastery). The monk was strict at fasting, he spent the nights at prayer and he received the Holy Mysteries every Saturday. An angel told the monk of his approaching end. He died as a schemamonk on September 28, 1541 and was buried in the chapel he had built. 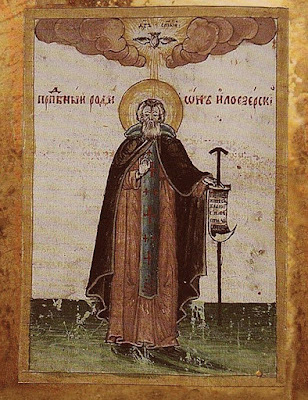 The first icon of Saint Herodion was painted after his appearance to a certain Sophonios. 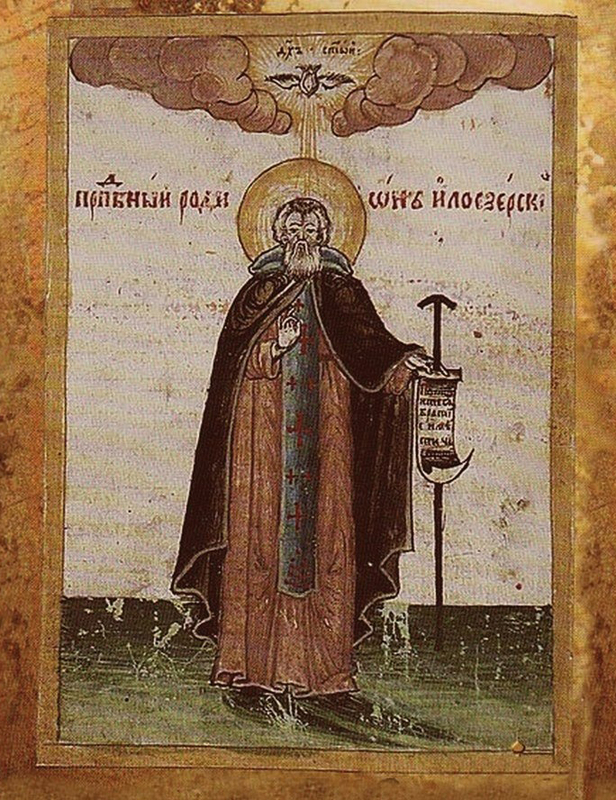 Sophonios impiously thrust his staff into the grave of Saint Herodion and was struck blind, but after praying to the saint, he recovered his sight. A short Life of Saint Herodion was written by Archimandrite Metrophanes of White Lake monastery, who in 1653, with the blessing of Metropolitan (afterwards Patriarch) Nikon, witnessed a miracle worked from the relics of Saint Herodion. Then an annual commemoration of the Saint was established. At the place of the chapel of Saint Herodion a church was built in honor of the Nativity of the Most Holy Theotokos together with a chapel dedicated to Saint Herodion of Elias Lake.